Liverpool must make an audacious attempt to sign Toni Kroos from Real Madrid in the summer transfer window. According to Spanish news outlet Don Balon, the 29-year-old is “desperate” to join a club in the Premier League and Manchester City are currently interested in signing him up. 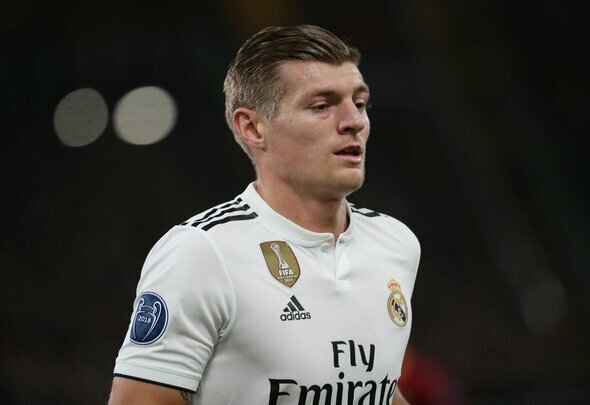 Kroos is one of the best central midfielders in world football and would be a superb addition to Jurgen Klopp’s squad at Anfield if the Reds are able to lure him to Merseyside ahead of Man City. The former Bayern Munich playmaker has not had the best of the seasons at the Bernabeu this term, but none of the Galacticos have really stood out in what has been a write-off of a campaign for the La Liga giants. However he is someone who you know would be a world-class player for any club on the planet if he is managed properly and used in a team that is creating a lot of chances. Imagine the amount of chances that Kroos could create while sitting behind the front-three of Mohamed Salah, Roberto Firmino and Sadio Mane. Since joining Real Madrid in 2014, the Germany international has supplied 58 assists in 226 appearances across all competitions. He has also won three Champions League titles in the Spanish capital, and someone with that title-winning pedigree could really help Liverpool take off and start to dominate English football if they sign him. If the Reds do not win their maiden Premier League title this term then they surely will with a player like Kroos in that midfield. Let’s face it, he is a massive upgrade on Jordan Henderson and Fabinho and Klopp’s central midfield has perhaps become the weakest part of his squad since the defence was sorted out.